When young protestors started chanting a quote by Assata Shakur during the Ferguson Uprising, several veteran activists from around the country reached out to me. They wondered – sometimes in a critical tone – if the young people even knew who Assata was. I thought some might know about the freedom fighter who escaped from a New Jersey prison in 1979 and successful sought political asylum in Cuba. But I felt, even if they didn’t know Assata’s story, hopefully the chant could be a natural introduction to learning about her as well as other political prisoners who have been held in U.S. cages for decades. It’s not just a new generation that needs schooling on political prisoners. The larger social justice movement also needs to be reminded of those whose political views and activities captured the attention of the FBI and who were caught in its net of deception and lawlessness. Groups like the Jericho Movement help us to keep them in our consciousness. The plight of two such black men have recently come into the spotlight. Before I focus on their stories, a brief primer on U.S. political prisoners. The criminalization of resistance is not new; it has a long and ugly history. I’ll only go back as far as my lived experiences, and that’s to the 1960s, when black, Latino, Native Americas and white activists fighting for liberation, peace and the preservation of the planet ended up on the same FBI list. COINTELPRO understood the power and influence of groups like the Black Panther Party, and black radicals were especially targeted and eliminated in one way or another – murdered like Fred Hampton, exiled like Assata Shakur, or sentenced for lifetimes on trumped-up charges like David Rice (aka Mondo we Langa), who died earlier this year in a Nebraska prison, maintaining his innocence until the end. You probably never heard of Romaine Fitzgerald. He holds the distinction of being the longest-held Black Panther Party member. Fitzgerald, who has been caged for nearly 47 years, has come up for parole 17 times and been denied each time. What about Rev. Joy Powell? For crusading against police corruption, Powell was set up and falsely convicted of 1st Degree Burglary and Assault. And Marie Mason? Thanks to the Patriot Act, she is now serving the longest sentence of any environmental activist. Now to the current situations of two black men who do have some notoriety and share similar fates because of their commitment to a more just and less racist world. Mumia Abu Jamal is an international political prisoner. The former Black Panther and member of MOVE has projected his case for decades through his powerful voice, both in print and video. Mumia was a prolific writer and radio journalist before he was wrongfully convicted of killing a Philly cop. 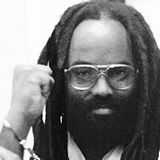 Despite being in solitary confinement most of his 30 years, Mumia valiantly fought for his life before a national campaign forced the courts to take him off Death Row in 2011 and give him life without the possibility of parole. Mumia is now fighting for his life – literally. Last year, photos of a frail Mumia were released to the public with a plea to force the Pennsylvania prison authorities to get him proper medical treatment. We now know that Mumia has Hepatitis C and diabetes. About 6,000 of the state’s 36,500 prisoners are infected with Hep C. A judge recently denied Mumia’s motion to receive the expensive anti-viral, which has about a 95 percent cure rate. This a troubling case where two racist and inhumane systems – the prison and the medical industrial complexes – collide. special place in the Black Power Movement as the fiery chair of the Student Non-violent Coordinating Committee (SNCC). He later became a Muslim and changed his name. September 16 is a National Day of Action to bring attention to Al-Amin’s legal and medical issues. He was harassed and hounded for years before Georgia authorities could find a case that stuck. In 2000, Al-Amin was snatched up and convicted of murdering two sheriff deputies. He has been fighting for his freedom ever since. 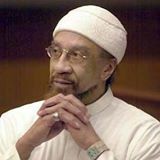 Al-Amin’s supporters have accused the Georgia prison authorities of “execution by neglect.” The iman has been diagnosed with cancer of the plasma cells; he also suffers from Sjogren’s Syndrome. Like Mumia, Al-Amin has been caught in the middle of two catastrophic systems. Their unique stories as political prisoners are part of the unwritten collective tragedy of nearly two million people languishing in U.S. jails and courts. For more information on Mumia Abu Jamal and how to support his life-saving efforts, visit http://www.bringmumiahome.com. For more information on Iman Jamil Al-Amin and how to support his struggles, visit http://imamjamilactionnetwork.weebly.com.